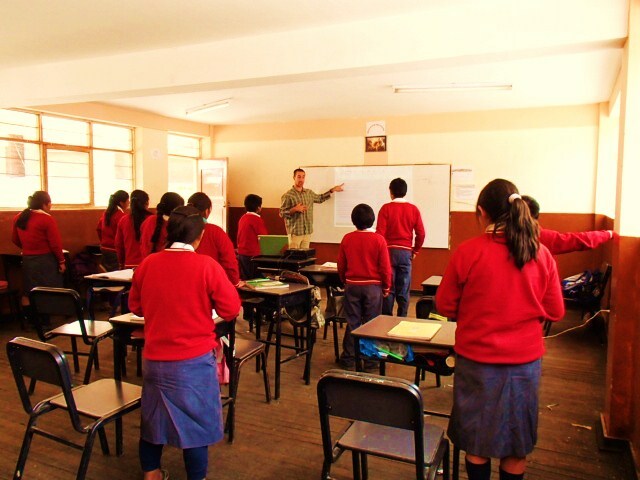 For the past two months I have had the privilege of teaching an English course to the indigenous Andean community of Janac Chuquibamba in the Sacred Valley of the Incas here in Peru. The community of Janac Chuquibamba is part of the native Inca rural tourism association, “La Tierra de los Yachaqs,” who strive to preserve their Inca ancestry through socially-responsible and sustainable existential tourism. This association helps to preserve cultural heritage, generate a form of income for the subsistence farmers that compose this existential tourism association, and employs environmentally sustainable humanitarian projects such as eco-latrines and improved ventilated stoves through their humanitarian partnerships and rural tourism programs. It is due to the incredible partnership of Ascend Humanitarian Alliance, Ascend Adventure Travel, and La Tierra de Los Yachaqs, that I have had the honorable privilege of teaching this English course to the families of La Tierra de Los Yachaqs in Janac Chuquibamba. Our goal with this English course was to provide a two month long course with classes two days a week in Janac Chuquibamba. This course was outlined to begin with the basic English constructs of vocal and consonant sounds, building to ultimately having the students be able form English dialogues in different settings and situations (both business and casual), that they would encounter in their rural tourism experiences. There were three main goals in teaching this English course. The first was to allow the subsistence farmers (students) to make their tourists feel more comfortable by being able to converse with their tourists using basic English expressions. The second was to allow the association to broaden their clientele base to tourists that are not fluent in either Quechua or Spanish (as all of their marketing, advertising, and business negotiations are done using these two languages). The third goal was to learn more about the lifestyle of these subsistence farmers in understanding their education system, their daily lives as subsistence farmers, and as selfless hosts through their rural tourism association. Outside of the English course I helped them build community centers out of adobe bricks, construct Eco-latrines (sustainable, economical bathrooms that don’t use water and convert the human waste into fertilizer for agricultural purposes), worked alongside the men, women, and children in their agricultural fields, and co-taught at their local school to evaluate their educational opportunities and structure. Working in their agricultural fields, I have never seen such hard working people. They wake at five AM and work until sundown. I understood the true meaning of community by helping them with their many community projects. When a home needs to be built they all work to build it together. When a man needs help planting his fields, they all leave their fields to offer their help. This is a community because they work together for the common good of all, selflessly with an outlook of equal prosperity. In their local schools and through my English course I realized that their education opportunities are unmatched to their counterparts living in the cities. Their teachers are generally less qualified and their government funding falls behind. 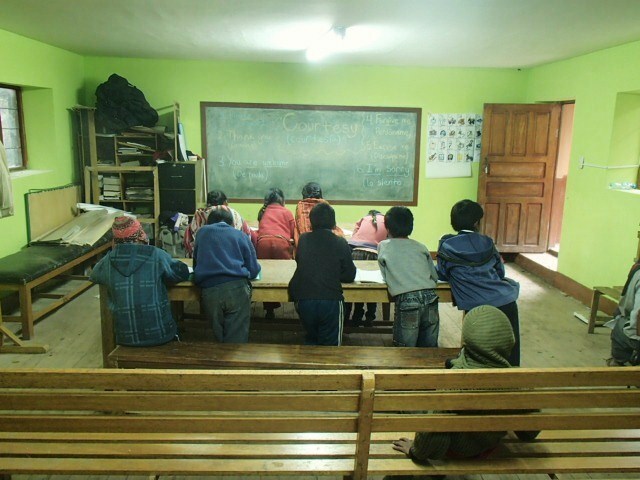 My friend Herman, a local campesino, voluntarily teaches Spanish to the kids of the community under the age of nine, as the Peruvian government is either unwilling or unable to help the Quechua speaking native children learn Spanish (a necessity for life outside of the communities as everyone in the cities speaks Spanish). Finally, and without regard, I found complete and selfless generosity in their home stays. I had to beg to help clean the dishes; and the cultural interaction and friendships I gained would have been impossible in any other “tourist” setting. I was proud to see their willingness to learn and be challenged with the foreign language of English after their 12 hour days, working in their fields. I know that they will only grow as a rural tourism association through their new educational knowledge, and with the cross-cultural experience we all gained through our interpersonal professional and casual daily interactions; and ultimately, I hope that our partnership with this existential tourism association allows them to continue their traditional Inca lifestyles, and share it with all of us. 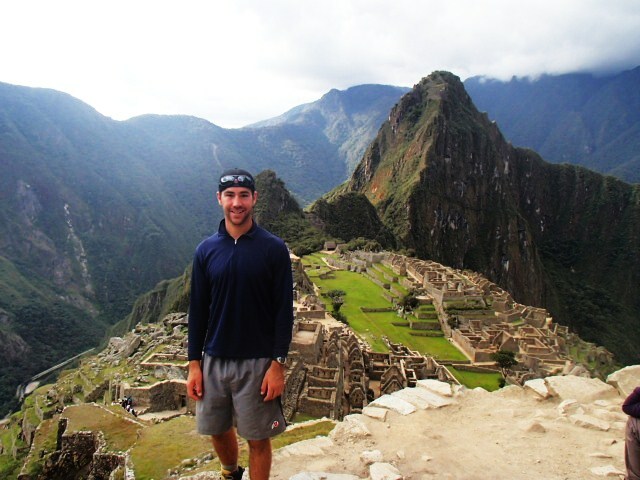 Thomas Smith, intern for Ascend Adventure Travel and student at the University of Utah working on Undergraduate Degrees in Environmental and Sustainability Studies and International Relations, with a certificate in Teaching English to Speakers of Other Languages (TESOL). Hike of the Achupalla: Why Rural Tourism? 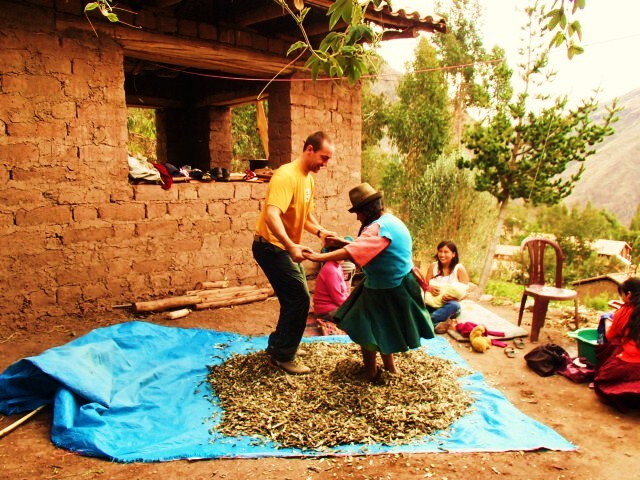 One of our current projects here at Ascend Adventure Travel is working with “La Tierra de Los Yachaqs,” a purely Inca rural tourism association that focuses on sustainable tourism by sharing their cultural traditions and implementing sustainable development projects in their communities. 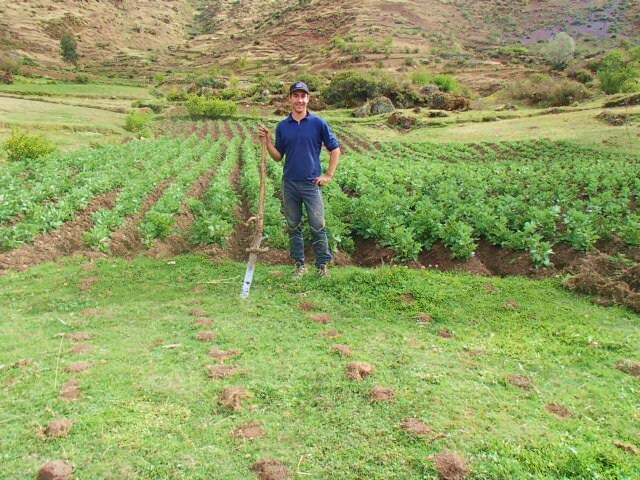 This association consists of eight native Inca villages called campesinas (or farming communities) throughout the Sacred Valley of the Incas. The “Yachaqs” is a Quechua term that translates as “Wise Ones.” They share their ancestral wisdom of the Inca culture and their customs through rural tourism options in their Andean communities decoding Andean textiles, learning about Andean gastronomy, learning about Andean agriculture, hiking to traditional Inca ruins with the native peoples, and in the community where I have been working…the hike of the Achupalla. 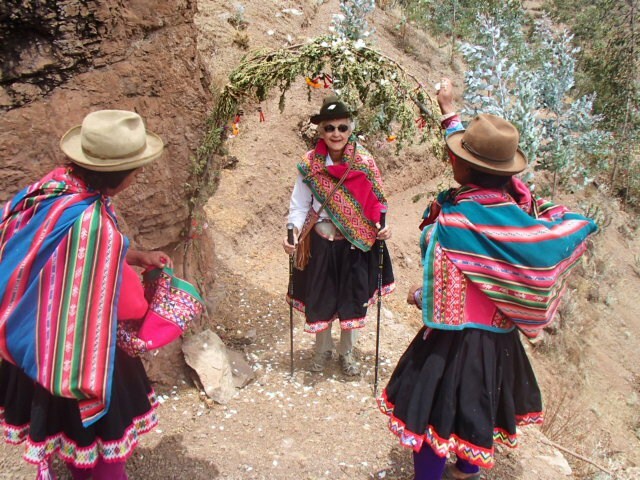 A couple of weeks ago my grandma was visiting from the U.S. and I was able to take part in this amazing cultural experience with her, one that is unlike any other “tourist” venture you will encounter in Peru. 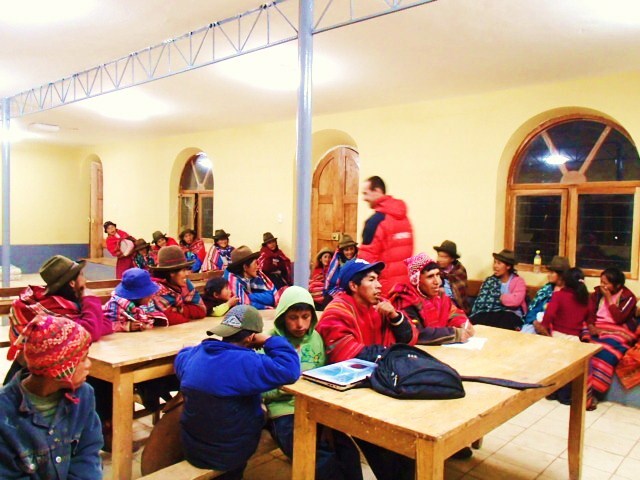 I am currently working in the Yachaqs community of Janac Chuquibamba teaching a two month long English course to give the community members basic conversational skills for interacting with their tourists, especially since most of them only speak the Inca language of Quechua. (More about this in a later blog post). 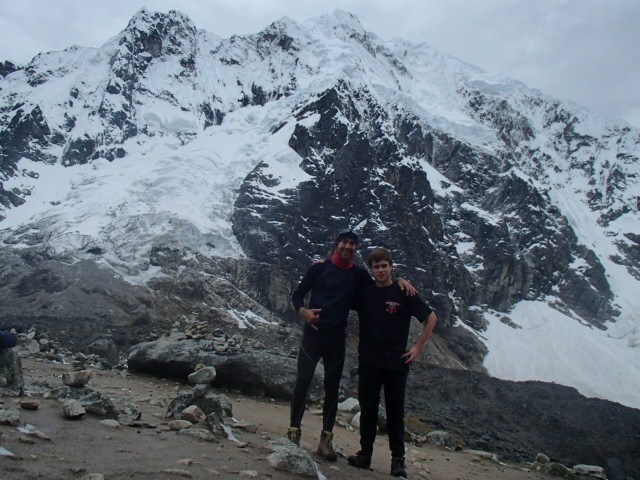 The rural tourism option in Janac Chuquibamba for “La Tierra de Los Yachaqs” is of course the hike of the Achupalla. Enough with the details, time for the experience. When my grandma first arrived they dressed her in their native garb including a skirt, poncho (for women), the fedora type sombrero that the Inca women wear, and a purse all woven out of sheep and alpaca fur, all died with various vibrant colors using local plants, and all of course hand crafted in this very village. We then began our hike to the Cliffside of the community (the only place where this cactus-like plant the Achupalla grows). For an 80 year old grandma at nearly 13,000 feet in elevation this was a little taxing. However, my grandma is not only my role model, she is one tough cookie! 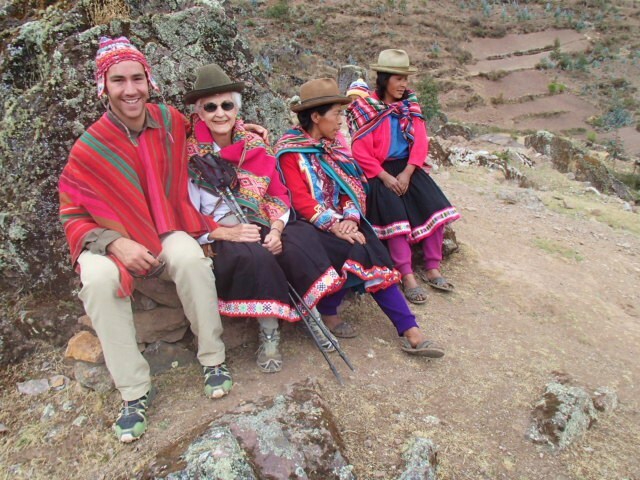 Only a week after this visit to Janac Chuquibamba she made history as the oldest person to complete the five day (elevation 15,200 feet) backpacking trip to Machu Picchu on the Salkantay trek! With flutes playing and white roses being spread over her head as a traditional blessing, we arrived at our destination of the hike…the home of the Achupalla. 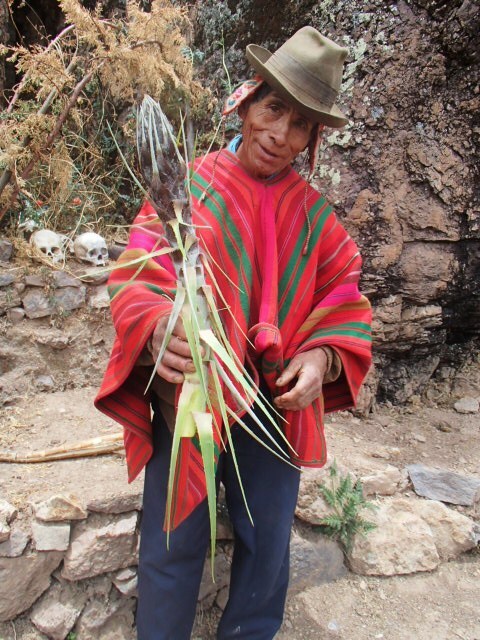 They then shared the story of their Inca God Wiracocha who brought this native plant to their community through a door in the Cliffside of their mountains (and literally showed us this magical door, amazing!). 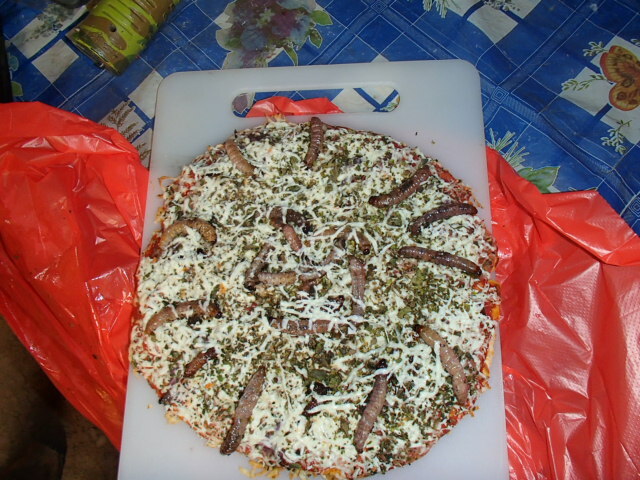 We then learned about all of the plants uses as a food source to increase memory in children, through its production of tools, and about the susacuro (worms) that grow in its flower stock that are an incredible and delicious source of protein when served on a pizza, to name just a few! The site of the Achupalla in the community was incredible as well! 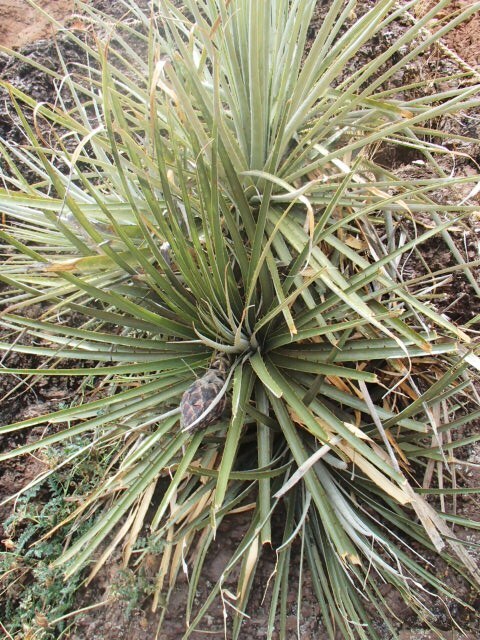 Not only because this plant only grows out of the Cliffside, but that this location was also the site of pre-Inca ruins that we explored (including skulls of their ancestors!). Our final venture in this incredible cultural experience was a feast of a lunch with susacuro pizza (worms from the Achupalla), half of a guinea pig each, and of course a variety of delicious potatoes like Moraya, all of which exemplify the gastronomy of their ancestral Incas. When departing, I could see the water building in my grandma’s eyes and couldn’t help but do the same. This was a truly special experience for both of us. 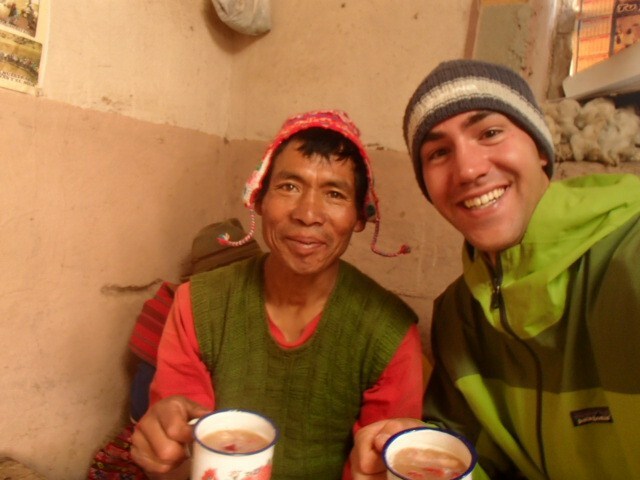 Without this experience my grandma would have never have experienced Peruvian culture from the true ancestors of the Incas, and I would not have been able to show her how incredibly selfless, heart-warming, and joyful the people of Janac Chuquibamba are in sharing their lifestyle with us as the true descendents of the Inca. Salkantay Trek to Machu Picchu! This past weekend our Ascend Adventure Travel team discovered one of Peru’s greatest trekking adventures…the Salkantay Trail to Machu Picchu! 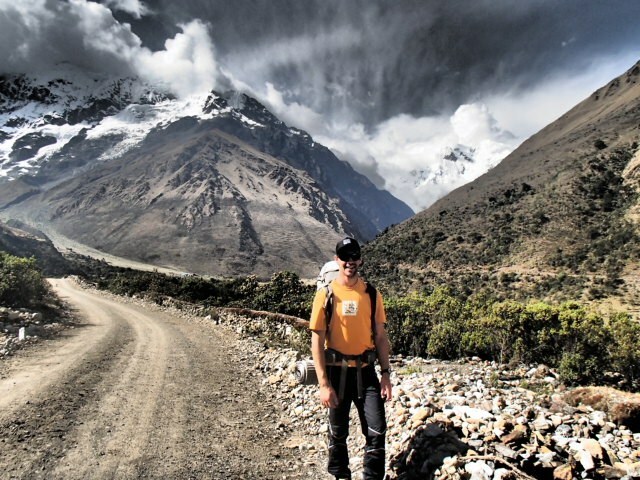 Self-supported, we set out on the 80 kilometer adventure on a mission to make it to the “Lost city of the Incas” in just three days (an adventure that usually takes five). As we set out on early Sunday morning from the city of Mollepata outside of Cuzco we knew that in order to complete the trail in less than three days we would need to hike 10 hours a day for the first two days…and that is just what we did. In the first day we made it to Salkantaypampa, 25 kilometers into the hike. 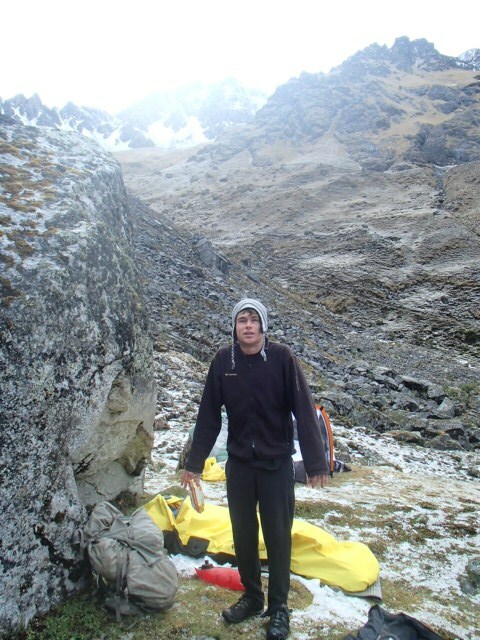 This is the closest you can camp to the highest point of the trek, the pass between Nevado Huamantay and Nevado Salkantay at over 4,600 meters, or 15,200 feet. At about 10pm on the first night a huge lightning snow storm hit us that unfortunately persisted for over an hour. With only a bivy sack to keep my sleeping bag dry, I felt as if I was being tossed as the mixture of sleet, hail, snow and lightning came shooting in sideways into the breathing pocket of my bivy sack! I awoke with the sunrise to find an ice sheet covering my bivy sack and backpack (both incredibly still relatively dry). The second day began with the trek over the pass of Nevado Salkantay and ended at a makeshift campsite in the jungle near our turn-off along the Rio Santa Teresa; a 30 kilometer day of hiking from 7:30 am to 5:30 pm. With 25 kilometers still to go, and knowing that I had to make it to Machu Picchu on our third day as I had previously bought my entrance fee for that day, we began our third day with the arduous pass of Llactapata. Passing remote villages with coffee farms, we snatched some beans in hopes to gain a little caffeine boost. After a steep descent we arrived at Hydro Electrica and began our final 2 hour 10km trek along the train tracks to Aguas Calientes and Machu Picchu. As it was already one-o-clock in the afternoon, and knowing that Machu Picchu closes at five pm, I walked as fast as I could, yet feeling like Forest Gump with leg braces on because my feet and legs were in such agony from hour-after-hour of continuous trekking. By the grace of the Incas, I luckily made it to Aguas Calientes (the town of Machu Picchu) at three pm and caught the last bus to Machu Picchu at 3:20 pm. (I would have done the additional 2 hour trek to the entrance of Machu Picchu from Aguas Calientes, but knowing that it closes at five it would have been impossible to make it in time; plus, I definitely needed a break). When I made it to Machu Picchu I found a nice spot on the top of the hill, kicked my feet up, and enjoyed the “Lost city of the Incas” as the sun began to set and my feet finally got the chance to rest. The only thing left to do was enjoy a cold Cusquena cervesa and reminisce our incredible journey to one of the most amazing places in all of South America.